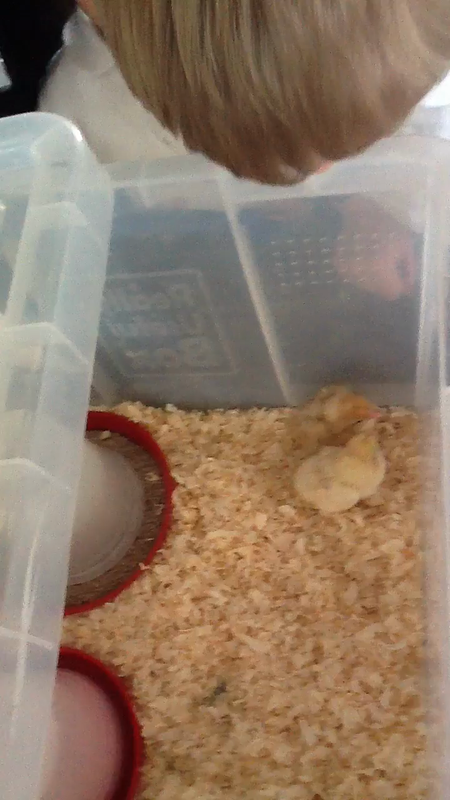 Chick Mania has hit Year 1!! We have been lucky enough to be given 9 eggs that we have enjoyed watching hatch over the past week! We have named the 8 chicks we have so far - Fluffy, Daisy, Toffee, Cuddly, Shelly, Poppy, Goldie and Tweety. We have taken lots of photos and some videos. We have had lots of visitors from all over the school to see our lovely chicks! We will be learning about the lifecycle of a chicken and reading lots of stories about chicks such as Dora's Eggs, Dora's Chicks, Chicken Licken and The Little Red Hen. Pantomime themed non uniform day! Some of Year 1's Princesses!